Airson Bliadhna na h-Òigridh 2018 a chomharrachadh tha Bòrd na Gàidhlig agus Young Scot air co-bhanntachd ro-innleachdail a stèidheachadh airson goireas ùr Gàidhlig a leasachadh a bhios air www.young.scot. Thèid taic cuideachd a chur ris a’ cho-bhanntachd le MG ALBA. 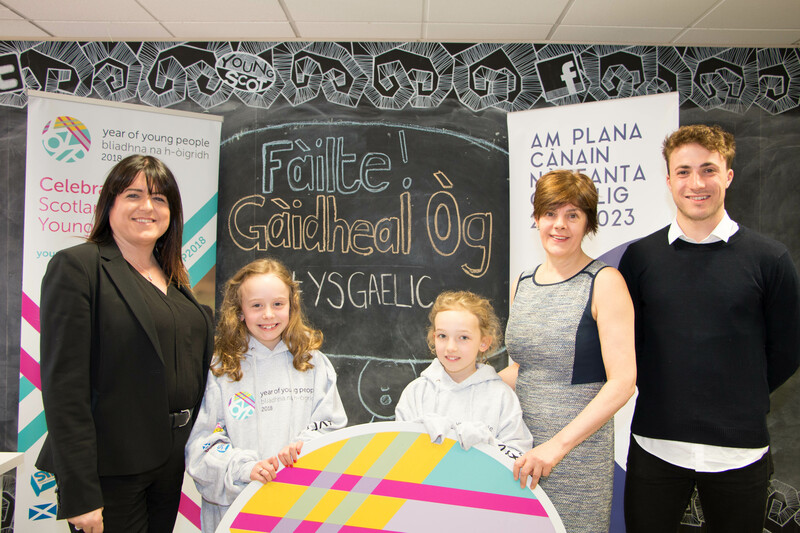 Le taic bho Bhòrd na Gàidhlig thèid Gàidheal òg fhastadh le Young Scot a bhios a’ dèanamh cinnteach gu bheil fios aig Gàidheil òga air feadh Alba mu na cothroman agus na buannachdan a tha rim faighinn co-cheangailte ris a’ Ghàidhlig, an cultar agus an dualchas. Tron a’ phròiseact a chaidh fhoillseachadh air Diluain 30 Giblean aig oifisean Young Scot ann an Dùn Èideann, thèid goireas ùr-ghnàthach didseatach a chruthachadh le fios mionaideach agus cothroman co-cheangailte ri duaisean agus còraichean airson daoine òga le Gàidhlig agus gun Ghàidhlig, cothroman a bhios aca nuair a bhios iad a’ cleachdadh Cairt Nàiseanta Airidheachd Young Scot. Tha am pròiseact ùr seo a’ tighinn às dèidh foillseachadh a’ Phlana Cànain Nàiseanta Ghàidhlig 2018 – 2023 far a bheil e na phrìomh amas gum bi barrachd dhaoine a’ cleachdadh Gàidhlig nas trice agus ann am barrachd shuidheachaidhean. ’S e bhith a’ brosnachadh, ag ionnsachadh agus a’ cleachdadh na Gàidhlig trì de na prìomh dhòighean sam bithear a’ cur ris an amas seo. Cruthaichidh an goireas ùr barrachd chothroman don òigridh Gàidhlig ionnsachadh agus a chleachdadh agus pàirt a ghabhail ann an cur-seachadan cultarail Gàidhlig. Cuideachd thèid barrachd eòlais agus tuigse mun obair agus na seirbheisean aig Young Scot a thogail am measg coimhearsnachd na Gàidhlig. 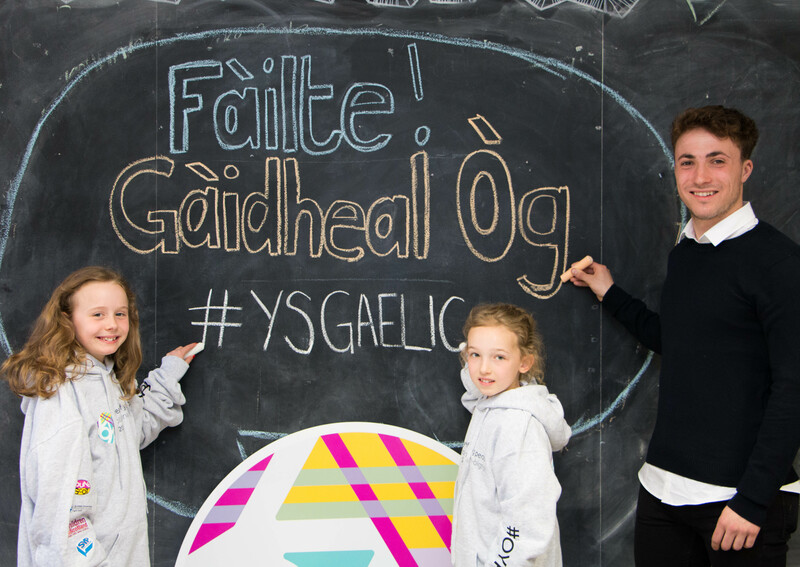 Tha Young Scot a-nis a’ sireadh Oifigear Leasachaidh na Gàidhlig a bhios a’ stiùireadh a’ phròiseict. Thèid sanasachd a dhèanamh air an obair agus fosglaidh iarrtasan air a son air Diluain 30 Giblean airson 4 seachdainean.